Once again your Board of Directors has been busy this year attending to the needs of the club. Below you will find the motions we worked on and the voting record for each motion. If you have questions regarding how a Director voted, please direct your question to that Director. Email and postal mail addresses can be found on the inside back cover of each Errorscope. Motion #1 was made by Mike Diamond and seconded by James Wiles. It reads, “I move that BJ Neff be appointed to the BOD as membership chairman effective immediately.” The motion passed with 9 yes (Mark Lighterman, Rich Schemmer, Mike Turrini, Ken Potter, Mike Diamond, Al Raddi, Frank Leone, David Bowman, James Wiles), 0 no, and 3 abstentions (Jim Checkovich, Paul Funaiole, Joe Rizdy). Date: Jan. 17, 2008. Motion # 2 was made by Frank Leone and seconded by Mark Lighterman. It reads, “I move that CONECA create a new position titled Assistant Editor. The AE would be appointed by Board Seat #2 and approved by the governing Board. The AE would report directly to the Editor. The role of the AE is to assist the Editor in the production of all club related publications. This includes the writing, gathering, and assembly of the primary club publication – the Errorscope.” The motion passed with 11 yes (BJ Neff, Al Raddi, Frank Leone, Mike Diamond, Rich Schemmer, Joe Rizdy, Mark Lighterman, Ken Potter, Mike Turrini, David Bowman, James Wiles), 0 no, and 1 abstention (Jim Checkovich). Date: Feb. 8, 2008. Motion # 3 was made by Mike Diamond and seconded by Rich Schemmer. It reads, “I make a motion that Jeff Ylitalo be appointed as assistant editor.” The motion passed with 6 yes (Mike Diamond, Al Raddi, BJ Neff, Mike Turrini, Frank Leone, Rich Schemmer), 1 no (James Wiles) and 5 abstentions (Joe Rizdy, Jim Checkovich, Ken Potter, Mark Lighterman, David Bowman). Date: Feb. 15, 2008. Motion # 4 was made by BJ Neff and seconded by Mike Diamond. It reads “I move that Kelsey Russell be given a honorary YN membership in CONECA for the period of 1 year.” The motion passed with 11 yes (Mike Turrini, Rich Schemmer, BJ Neff, Mark Lighterman, Al Raddi, Ken Potter, Frank Leone, Mike Diamond, David Bowman, Joe Rizdy, James Wiles), 0 no, 1 abstention (Jim Checkovich). Date: Feb. 21, 2008. Motion # 5 was made by Mike Diamond and seconded by Al Raddi. It reads, “I make a motion that we authorize Ken Potter to purchase 100 oz of silver at the going rate and to commission the cutting of 2 dies, the total cost of which is not to exceed $3000.” The motion passed with 6 yes (Ken Potter, Joe Rizdy, Mike Diamond, Al Raddi, Mark Lighterman, James Wiles), 0 no, and 6 abstentions (Jim Checkovich, BJ Neff, Frank Leone, Rich Schemmer, Mike Turrini, David Bowman). Date: Mar. 23, 2008. Motion # 6 was made by BJ Neff and seconded by Al Raddi. It reads, “I move that as of January, 2009 dues will be increased to the following levels; $27.50 for bulk mail, $10.00 for YN membership and $40.00 for First Class and Foreign mailings of ERRORSCOPE.” The motion failed with 3 yes (BJ Neff, Al Raddi, Rich Schemmer), 7 no (Mike Diamond, Mark Lighterman, James Wiles, Frank Leone, Joe Rizdy, Mike Turrini, Ken Potter) and 2 abstentions (Jim Checkovich, David Bowman). Date: May 30, 2008. Motion # 7 was made by Ken Potter and seconded by BJ Neff. 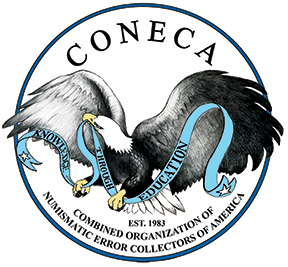 It reads, “I, Ken Potter, make a motion that an electronic version of the Errorscope be developed for members-only access from the CONECA website. Access will be free of charge to all members in good standing using a club supplied password.” The motion passed with 6 yes (BJ Neff, Rich Schemmer, Mike Diamond, Al Raddi, Ken Potter, Frank Leone) 2 no (Mark Lighterman, James Wiles) and 4 abstentions (Jim Checkovich, Joe Rizdy, Mike Turrini, David Bowman). Date: May 31, 2008. Motion # 8 was made by Ken Potter and seconded by James Wiles. It reads, “So, I hereby make a motion that we hold the CONECA triple struck medals for next year’s literary award and give out the double struck Liberty/Buffalo nickels this year.” The motion passed 9 yes (BJ Neff, James Wiles, Mark Lighterman, Rich Schemmer, Al Raddi, Mike Diamond, Ken Potter, Mike Turrini, Joe Rizdy), 0 no, 3 abstentions (Jim Checkovich, Frank Leone, David Bowman,). Date: June 6, 2008. Motion # 9 was made by Ken Potter and seconded by James Wiles. 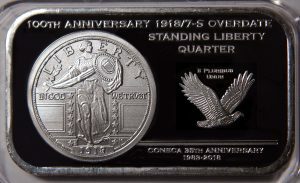 It reads, “I move that we to set the pricing for the 25 Anniversary medals at $36.00 for the silver, $19.95 for the two coin non-silver normal set, $29.95 for the two coin error set, and $84.00 for the complete 5 coin set, with 2 options for presentation cases. A limit of 5 sets to be imposed per purchaser, but not limited to CONECA members only.” The motion passed with 8 yes (Joe Rizdy, BJ Neff, Al Raddi, Ken Potter, Rich Schemmer, Mike Diamond, James Wiles, Mike Turrini), 0 no, 3 abstentions (Mark Lighterman, Jim Checkovich, Frank Leone). Special Note: David Bowman has resigned. Date: June 17, 2008. Motion #10 was made by Ken Potter and seconded by James Wiles. It reads, “I move that the 2008 Lyndon King award be presented to BJ Neff and Jeannie Neff.” The motion passed with 7 yes (Joe Rizdy, Ken Potter, Rich Schemmer, Al Raddi Mike Diamond, James Wiles, Mike Turrini), 0 no, and 4 abstentions (Mark Lighterman, BJ Neff, Frank Leone, Jim Checkovich). Special Note: David Bowman has resigned. Date: June 17, 2008. Motion #11 was made by Ken Potter and seconded by James Wiles. It reads, “I move that Peggy Devine be the 2008 inductee into the CONECA Hall of Fame.” The motion passed with 8 yes (Joe Rizdy, BJ Neff, Al Raddi, Ken Potter, Rich Schemmer, Mike Diamond, James Wiles, Mike Turrini), 0 no, 3 abstentions (Mark Lighterman, Jim Checkovich, Frank Leone). Special Note: David Bowman has resigned. Date: June 17, 2008. 1. Abandon the Errorscope on CD project. a. Redesign the Errorscope to be full color (including photos, backgrounds, headers, banners, etc.). b. Set Jan. 1, 2009 (Jan/Feb 2009 issue) as the date for our editor to produce the first redesigned, full color issue. c. Post each new issue in a members-only section of our website in pdf format. d. Upload each Errorscope on the first day of its publication (Jan. 1, Mar. 1, etc.). e. Keep each new issue up until the next issue comes out (2 month rotation). 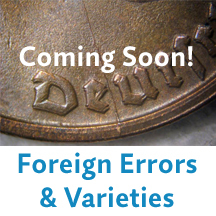 f. Have a 2 year delay between posting a new issue and placing it in the members-only accessible online archives of back issues. g. Upload all issues that are older than 2 years that are composed in Quark or Framemaker on an as time permits basis. h. Gradually upload older paste-up issues, starting from the most recent and moving backward. This will be done only as time and the availability of volunteers permit This will be the responsibility of Board Seat #2 to either do or supervise. i. Continue printing Errorscope bimonthly in black and white. j. Increase the editor’s stipend to $500 per issue effective with the July/Aug 2008 issue in order to offset the extra work involved in redesigning and maintaining a color Errorscope. 3. Authorize our membership chairman, BJ Neff, to create and distribute usernames and passwords for the members-only section of our website. He will be responsible for adding and deleting these on a continuing basis. 4. Request that Bill Crosier produce a home page for our members-only section that is attractive and easy to navigate. The motion passed with 7 yes (Rich Schemmer, BJ Neff, James Wiles, Mike Diamond, Ken Potter, Al Raddi, Joe Rizdy), 0 no, and 4 abstentions (Jim Checkovich, Mark Lighterman, Frank Leone, Mike Turrini). Date: June 20, 2008. Motion #13 was made by Frank Leone and seconded by BJ Neff. It reads, “I move that we accept Bob Piazza as the CONECAs volunteer in charge of Press Releases.” The motion passed with 10 yes (Joe Rizdy, Mike Diamond, Al Raddi, Ken Potter, Frank Leone, BJ Neff, Rich Schemmer, Mike Turrini, Mark Lighterman, James Wiles), 0 no, and 1 abstention (Jim Checkovich). Date: Sept. 8, 2008. Motion #14 was made by Ken Potter and seconded by Mark Lighterman. It reads, “I move that we endorse Alan Herbert as a candidate for the ANA board of governors.” The motion passed with 6 yes (Mark Lighterman, Rich Schemmer, Al Raddi, Ken Potter, Mike Turrini, Frank Leone), 2 no (James Wiles, Mike Diamond), and 3 abstentions (Jim Checkovich, BJ Neff, Joe Rizdy). Date: Dec. 8, 2008. Membership Seat – Paul Funaiole retired from this seat in February of 2008 and he was relieved by Robert (BJ) Neff. Our membership, throughout this period, remains strong, with the average number of members staying near the 700 mark. New for this period was the introduction of payment through PayPal for renewals and new memberships. While the new members seem more likely to use this PayPal feature, most renewals are made through the mail. We will no longer be sending out two reminders for renewal of dues through the mail. The first will be mailed to you, while the second reminder will be through e-mail. If you do not have an e-mail address, you will receive two reminders through the mail. If you have changed your e-mail address, please refer to the statement below for updating. A new e-mail address has been added for our members convince. This is for any related questions that they may have concerning dues, payment of such or address changes. That new address is CONECAmembers@aol.com, (No longer a valid email address. KP).